Setting apart a new product from competitors has always been a challenge for retail brands, especially in-store and at the point of purchase. 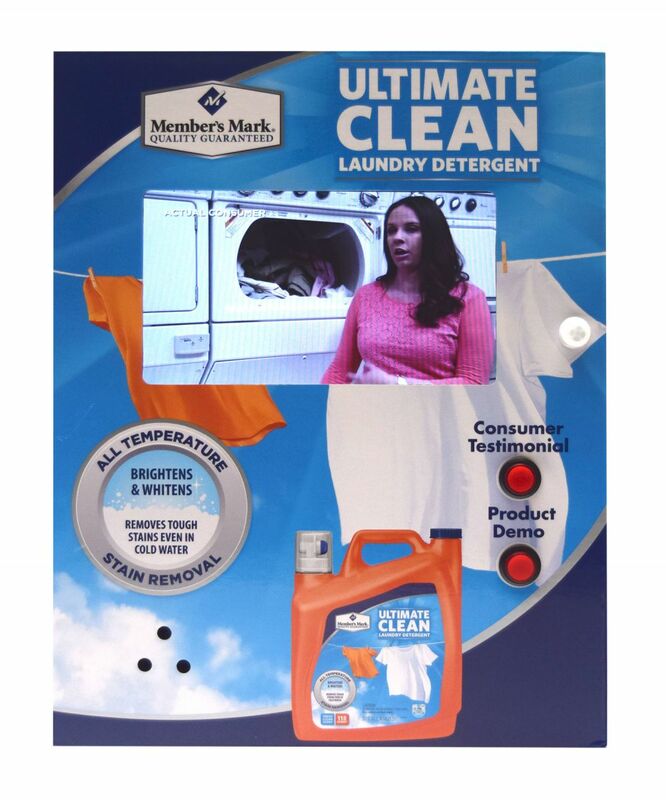 So when Sam’s Club was ready to launch their new line of Member’s Mark detergent, they knew they needed a smart way to grab the attention of consumers and communicate the story behind their new product. 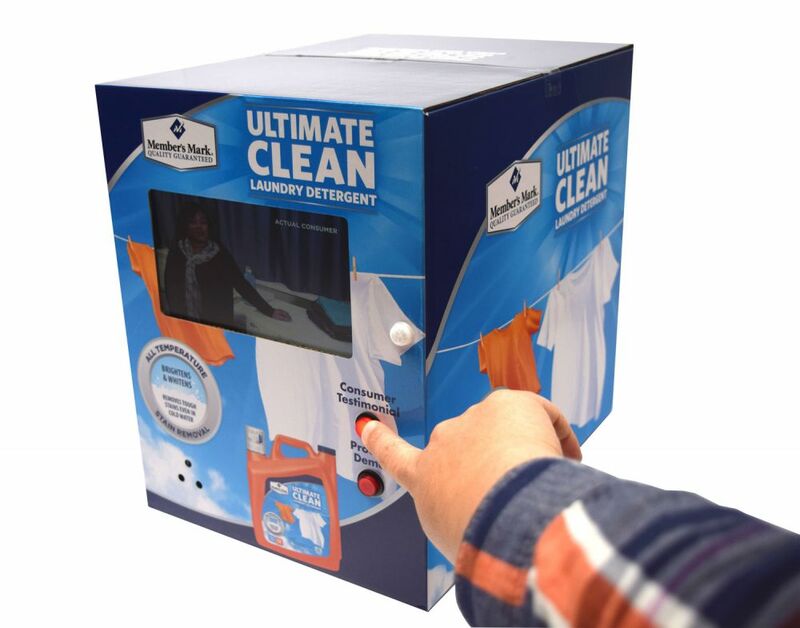 After reviewing Americhip’s full line of In-Store marketing solutions, the Member’s Mark brand team decided to integrate a Video Product Replica into their current in-store product display. Americhip designed a video display to look exactly like the Member’s Mark retail product. 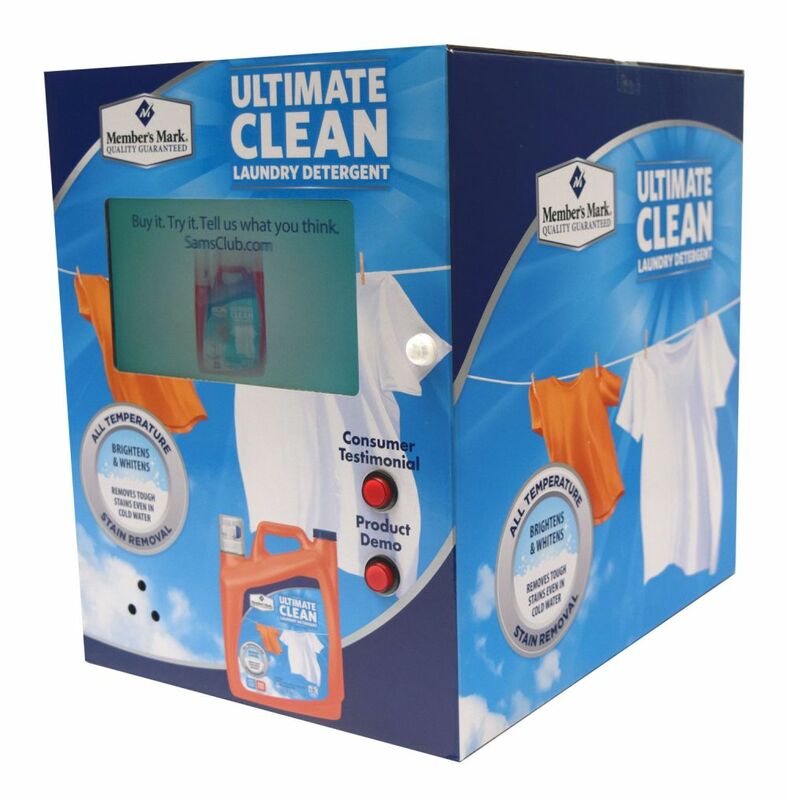 The full color display contained a 7” LCD screen with two push buttons that played video content including a product demo video and a customer testimonial. The display was seamlessly incorporated into the current Member's Mark product space allowing for full compliance with their own point of sale guidelines. Now with their new Video Product Replica Display, the Member’s Mark team was able to grab attention and digitally tell their story to consumers at the point of influence. The Member’s Mark brand team is now looking for ways to use this digital storyteller in other retailers.